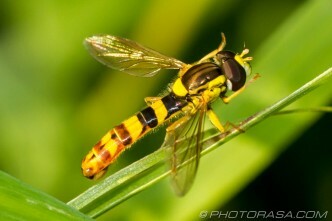 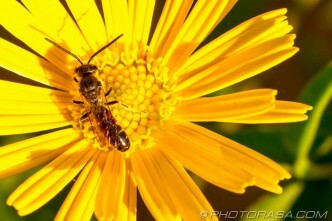 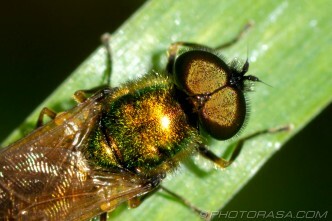 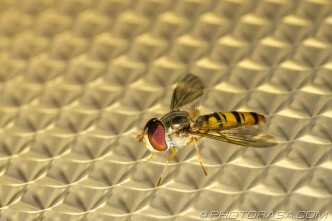 A collection of photos and picture galleries of flies. 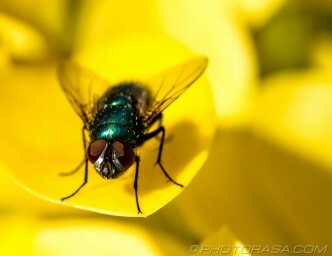 Flies are a group of insects of the order Diptera, with the primary characteristics of having 2 unprotected, transparent, veined wings with which they can fly. 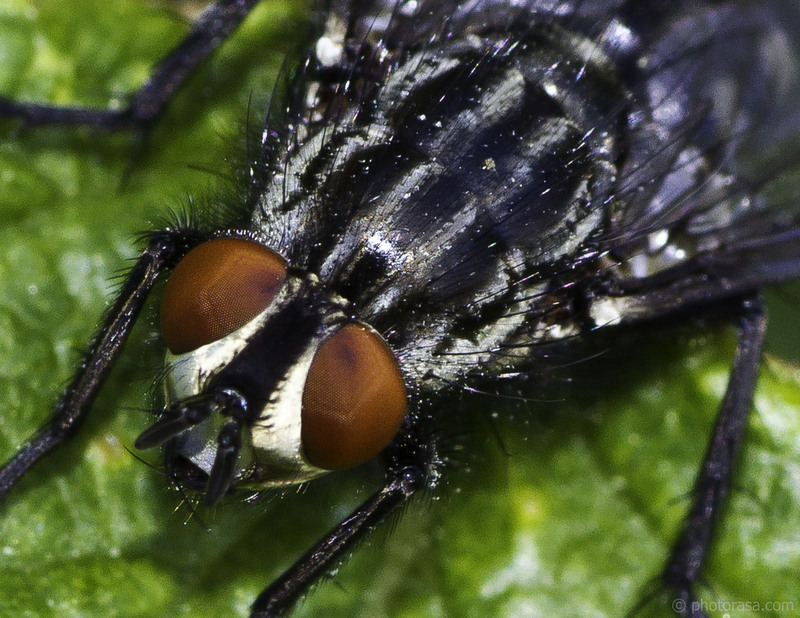 Macro shot of a flesh fly complete with red eyes, hairy black and white abdomen and hairy legs.